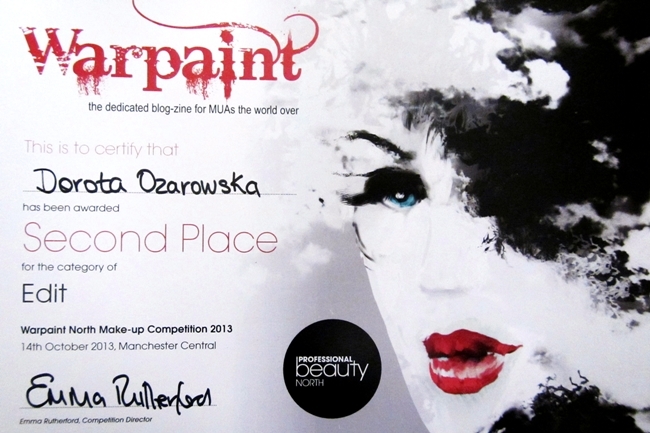 All about my Warpaint make-up Competition 2013 – Professional Beauty North – Manchester. I am delighted about winning 2nd Place in this competition, in category Edit: Winter Wonderland. 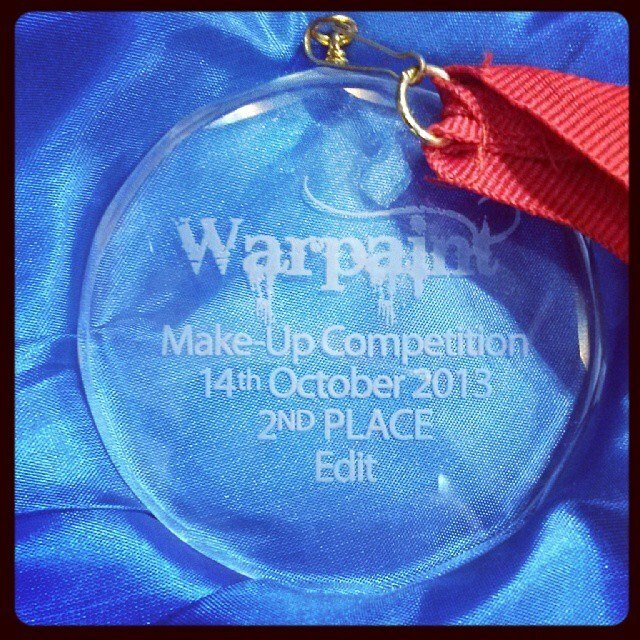 For all of you is the link to Warpaint Magazine – full list of winners and photos of other competitors and winners. My lovely model that day was fantastic Sarah Pursey. PAM – Applying the snow paste. Difference in both looks is that – I haven’t used that much water and I also applied MAEKUP: Modified Acrylic Powder over the snow paste and skin. (to protect models face from the spraying and running water – Sarah was put on chair in almost horizontal position and face was gently covered with kitchen towel. My main idea was to create unusual look – not like typically we all think about winter – in blue – white – silver colours…who says snow queen must be made within that colour shame…? I can see winter and snow queen also as frozen blossom flowers…. 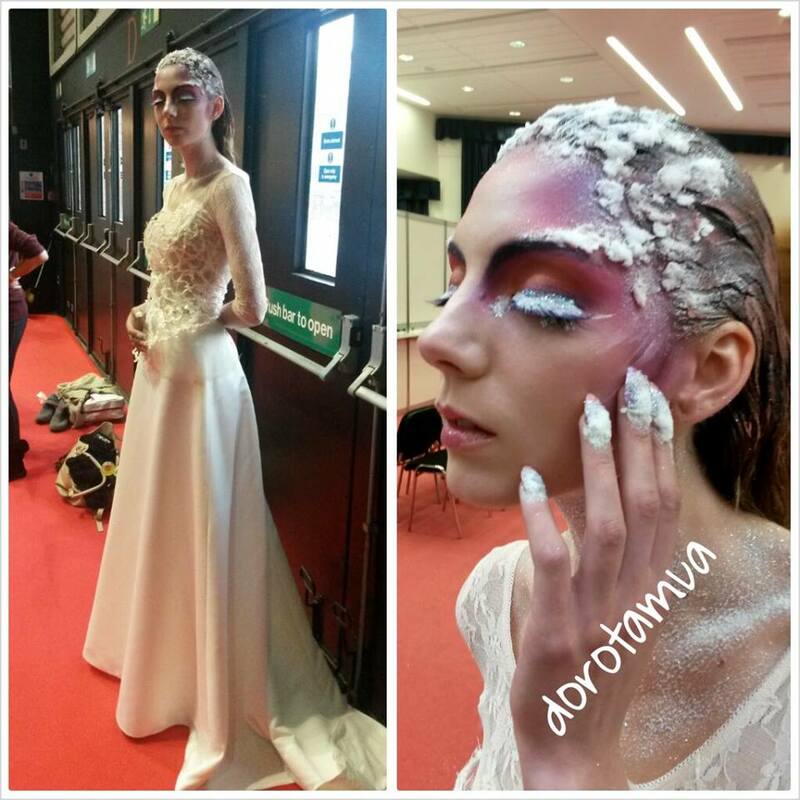 and also my big inspiration in creating this look was Kirsty Mitchell Photography and her phenomenal Work! Oh YES – that much! 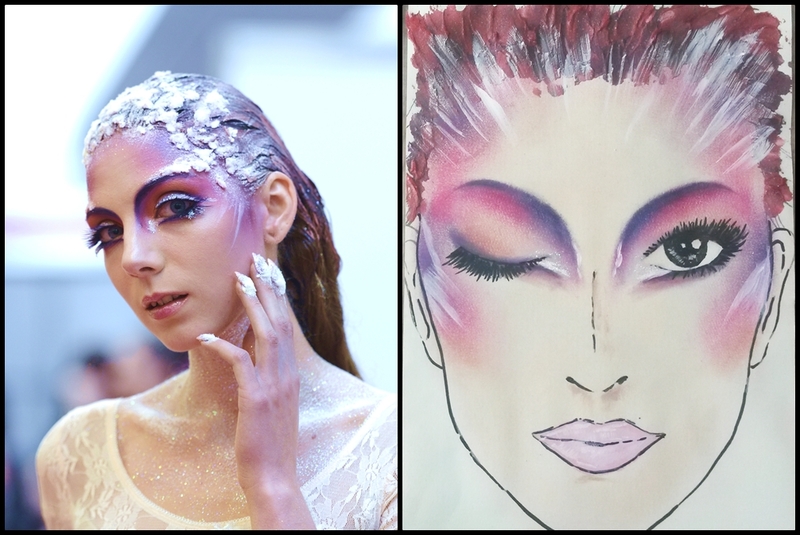 During competition all contestants had roughly 2 hours for creating entire look – we had being allowed to do hairstyles earlier. In my category Edit – All look had to be created perfect from head to toe so it would be ready and perfect for photoshoots, looks like it’s not require any editing in photo shoot! 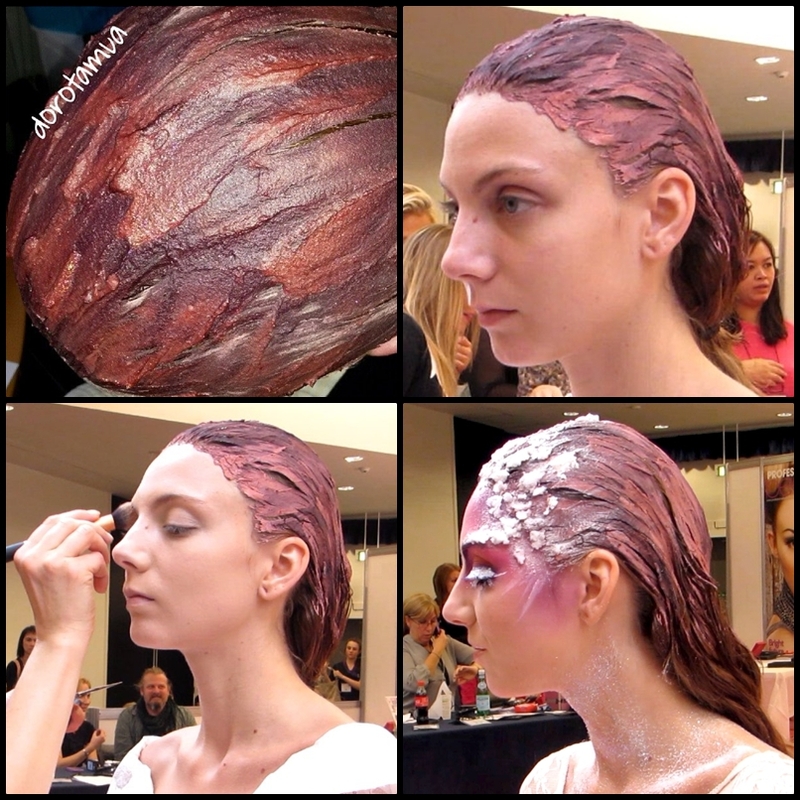 My test with Sarah – before competition – first attempt to applying make-up, snow paste and acrylic powder. Also fullers earth wasn’t coloured yet. Note: Only some of my creative make-up’s had tests before – often, face charts works enough good to me, [photographers and models], some other creations required last minute alternation… But in some looks I want to perfect all details and check is the method of applying would work correct, if compare to that what I had seen in my imagination. 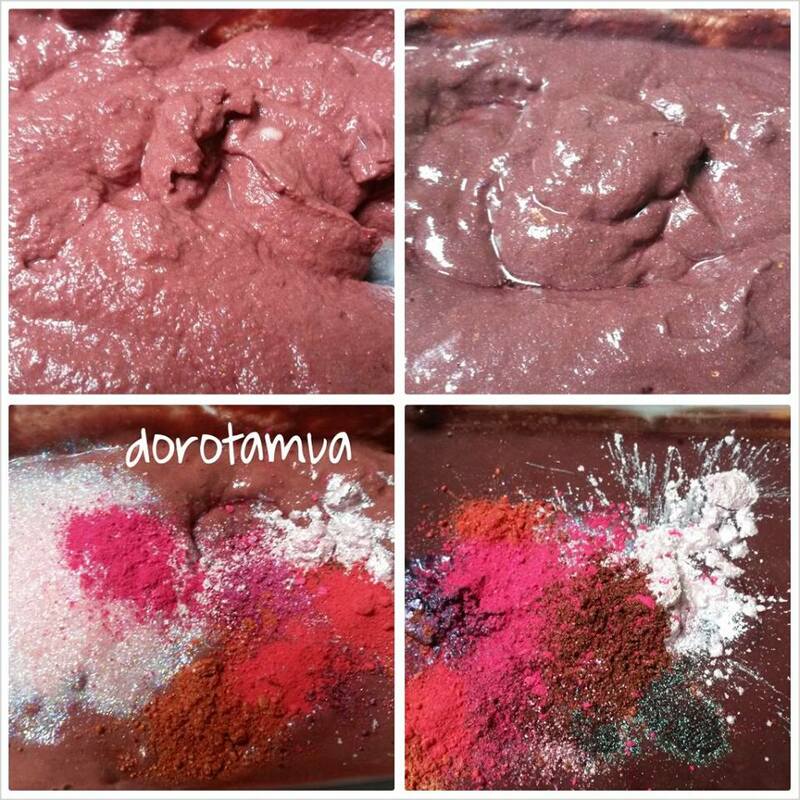 Mix of Fullers Earth with food pigments and random pigment eyeshadows for shine. 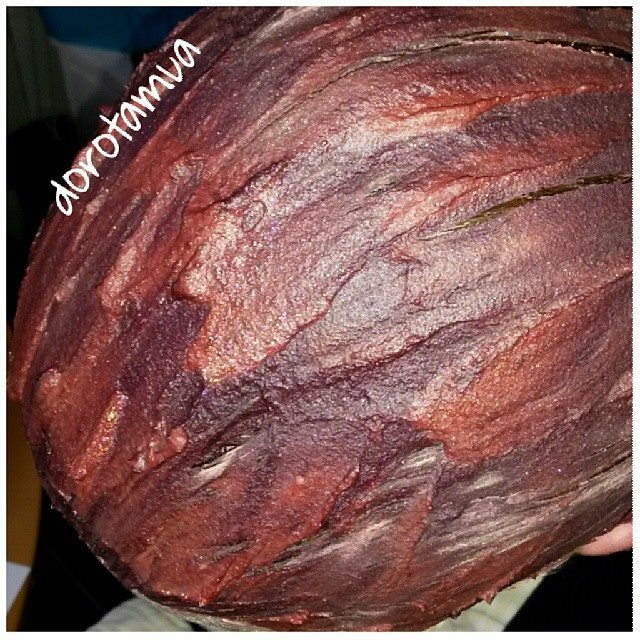 After applying entire mix – before drying. I have put thick layer – so all mixture dried very long time – roughly 4 hours, incl.2 hours with hair dryer…after that I noticed that fresh and cold air works better then hot air. 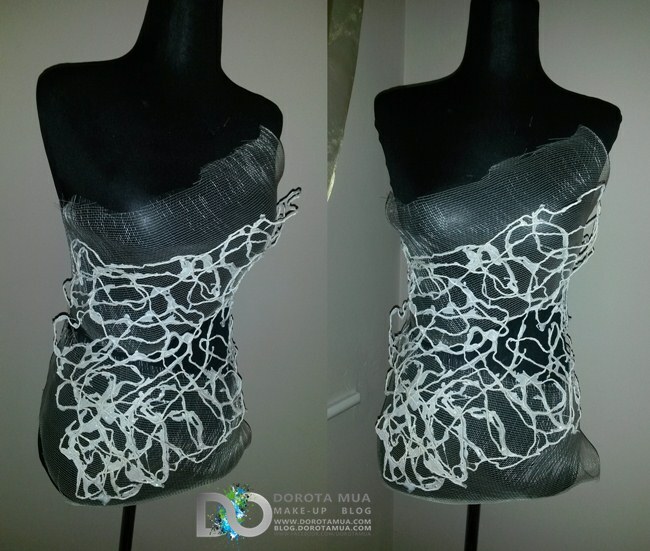 Top layer of dress – I created from packing strip, PVA glue, fake snowflakes and glitter… I wanted entire look to be definitely modern that would cooperate as Editorial look but with little flick. 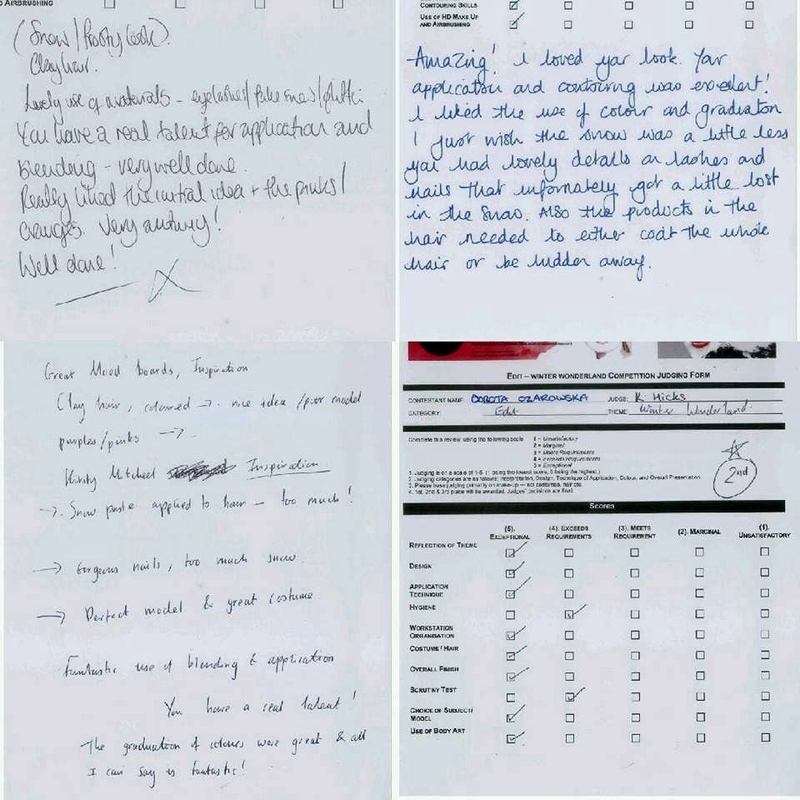 At the end – all makeup artist received score sheets and personal opinions from judges! All Make up Artists learns all live – It’s great to know if you are wrong in some point… but you cant record mistakes yourself, if you cant see you own fails and what you are doing wrong… – It’s great to be told by others…be humble and listen others ! And to be honest – I feeling a very emotional about my score sheet! My winning certificate and fist ever engraved medal! 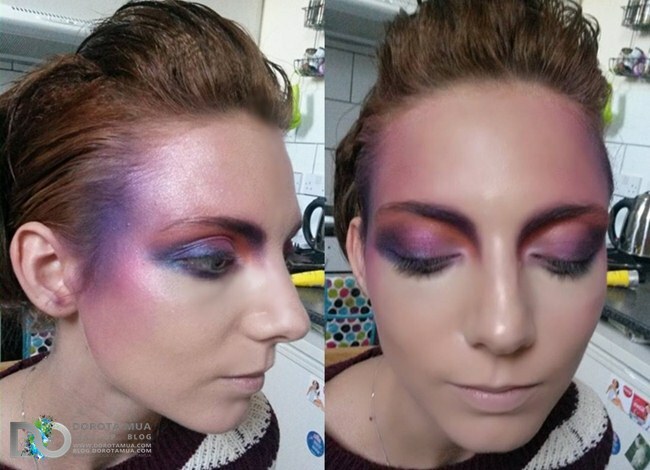 Hope that highlights and creating of this look becomes interesting and inspiring to all of you. 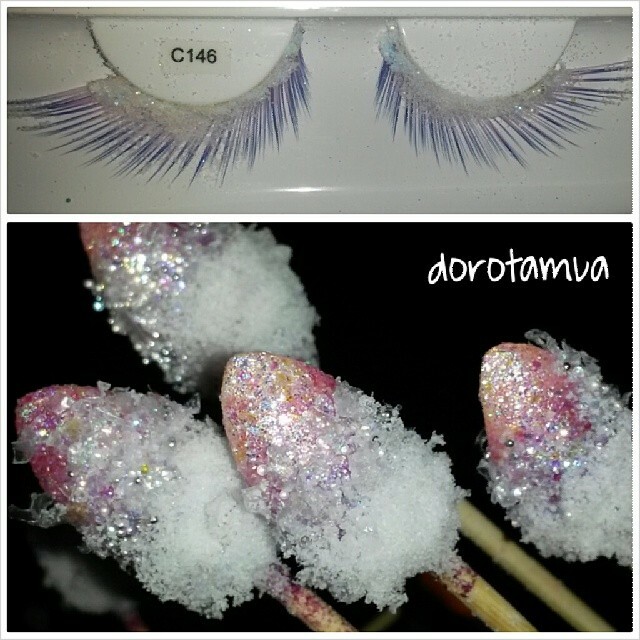 Pingback: Blog DorotaMUA | Snow Queen – What snow product I’ve used in video? ?